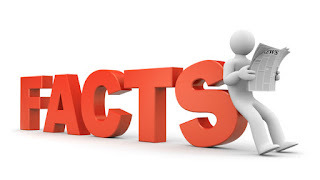 12 Interesting facts. ~ CK Jacob: Nigerian Fiction And Lifestyle Blog. 1. Never hold your nose and cover your mouth when sneezing, as it can blow out your eyes. 2. When hippos are upset, their sweats turns red. 3. Your left lung is smaller than your right lung to make room for your heart. 4. Chewing gum while peeling onions will keep you from crying. 5. Approximately one-sixth of your life us spent on Wednesdays. 6. A Saudi Arabian woman can get a divorce if her husband doesn't give her coffee. 7. Dolphins sleep with one eye open. 8. More people use blue toothbrushes, than red ones. 10. Most lipstick contains fish scales. 11. You are born with 300 bones, but when you get to be an adult, you only have 206. 12. The electric chair was invented by a dentist.